So yet another Local Derby has come and gone and once again we are left licking our wounds following the latest reverse at the hands of our nearest rivals who it has to be said are on a ridiculously long unbeaten run against us now, in fact I struggle to remember the last time we beat them. As in keeping with recent games between the Two sides I felt we were on the receiving end of an unjust scoreline, there just seems to be a long line of things that don't go our way whenever we play them and while I cannot bemoan bad luck this time around I do feel the level of our performance merited much more than a Three goal reverse, in fact for long spells of the match I felt we were the better side without that killer instinct up top where it matters most. Most people I spoke to after the game could not see much difference in the sides at both ends of the Championship table, an opinion backed up by the TV experts, except of course that knob Darren Eadie who was going to be biased all day long. Sadly there is only One statistic that matters and only One that will be remembered so once again we are second best and boy does it hurt again. The big talking point of course was the Red card dished out to Paul Lambert for daring to stick up for his players in the face of much provocation and goading, I may be wrong on this but absolutely loved seeing him showing us just how "Blue" he now is, he doesn't suffer fools and only fool would see it in a negative light, the man is 100% committed to the Ipswich cause and in view of our situation we need that more than ever now. What we are not privy to is the undoubted insults, comments, verbal attacks etc etc that no doubt went on throughout the whole day and while it is part and parcel of the game there is a line that in all probability was crossed several times, for those goons to give the man such a bad reception is beyond me and as he rightly said people have very short memories, I hope to god we end up having the last laugh, it could take some time though. Seeing us perform so well against the so called best in the division makes our position even more frustrating, we clearly just lack a little bit of real quality in the key area of attack, Pukki being the prime example, love him or loathe him I would suggest if we had him in our team we would not be looking at going down. I think it is fair to say that had it not been for bad luck this season we would have had no luck at all, players continue to drop like flies with season ending injuries, hot on the Heels of Ward, Morris and Folami we now have Freddie sears out for a minimum of Nine months and while he is not the most potent of strikers it is another lost player as we battle the inevitable. We wish Freddie all the best but I do question if that may be him done in a Town shirt. Wednesday night see's the return of former Town favourite Martyn Waghorn as promotion chasing Derby County breeze into town for a Wednesday night encounter. In our position every game we play now is tough but this looks like yet another nailed on night of disappointment and frustration, The Rams are currently just outside the play off zone in Seventh place with the same amount of points as Sixth placed Bristol City who really are on fire right now, nothing less than a Win will do in their quest for promotion but recent form is a bit up and down, Win One, Lose One, Win One, Draw One seems to be the pattern right now but there is no doubt they have some real quality in their ranks, Waghorn himself is in goal scoring form while the likes of Lawrence, Keogh, Tomori, Bryson, Huddlestone, Johnson etc etc will pose a real threat. nothing less than a win will do for Town too but we have been saying that every game for months now. I feel our woes are set to continue, especially when I recall how Derby took us apart at Portman Road last season in what was a bit of a no show from us, unfortunately I can see another Two goal defeat on the horizon. Oh The Joy. Derby County F.C. was formed in 1884 as an offshoot of Derbyshire County Cricket Club in an attempt to give players and supporters a winter interest as well as secure the cricket club extra revenue, playing their home matches at the cricket club’s Racecourse Ground. Arguably the most important game in the club's history came in the 1886 FA Cup, when a 2–0 victory over Aston Villa, already an emerging force in English football, helped establish Derby County F.C. on the English football map, helping the club to attract and an invitation into the inaugural Football League. In 1895 the club moved to a new stadium, The Baseball Ground (so called because it was previously used for baseball), which became their home for the next 102 years and adopted their traditional colours of black and white. Although Derby were inconsistent in the league, they were a strong force in the FA Cup, appearing in three finals in six years around the turn of the 20th Century but lost all three. Between 1906 and 1925 Derby had some inconsistent years, with a number of relegations and promotions between the First and Second Divisions of the Football League. However, the appointment of George Jobey in 1925 kick-started a successful period for the Rams and, after promotion in 1926, the club became a formidable force, with high finishes from the late 1920s and all through the 1930s, including finishing runners up twice. Derby were one of several clubs to close down during the Second World War but restarted in the early 1940s. Derby were one step ahead of the opposition when competitive football resumed with the 1946 FA Cup and won their first major trophy with a 4–1 victory over Charlton Athletic. The League restarted the following season after a break due to World War II and, under the management of Stuart McMillan, finished fourth and third in the 1948 and 1949 seasons respectively, before a steady decline set in and the club was relegated in 1953 after nearly 30 years in the top flight, and again in 1955 to drop to the third tier of English football for the first time in their history. In 1967, Brian Clough and Peter Taylor took over and led them to their greatest glory. Derby were promoted to the First Division in 1969, finished fourth in 1970, but got banned from competing in Europe due to financial irregularities in 1971 and won their first ever Football League Championship in 1972. Though Derby did not retain their title the following season, they did reach the semi-finals of the European Cup. They lost to Juventus in a controversial match which was subject to subsequent allegations that the Italian club had bribed the match officials, leading Clough, to call the Italians "cheating bastards". Clough's frequent outspoken comments against football's establishment eventually led to him falling out with the board of directors at the club, and Clough and Taylor left in 1973. Such was their impact on the club that, 37 years later, a 9'0 high bronze statue of the pair was erected outside the Pride Park Stadium in commemoration of their legacy. Despite the departure of Clough and Taylor, Derby's League success was repeated in the 1974–75 season when they won the title. However, Derby's form declined towards the end of the 1970s and they went down to the Second Division in 1980. Though they challenged well in their first season, Derby's stay in the Second Division was not a happy one and they were relegated to the Third Division for only the second time in their history in 1984. After the relegation, the club appointed Arthur Cox who turned the club around with successive promotions in the mid-1980s to get the club back into the old First Division in 1987. The club was relegated back to the Second Division in 1991 due to lack of investment. At this time, local newspaper businessman Lionel Pickering became the majority shareholder of the club. In 1995 Jim Smith became the new manager and, although the new season started slowly, throwing his brief of 'a top-half finish' out of the window, Smith guided the Rams to a second-place finish and the Premier League, now the top flight of English football. After finishing an admirable 12th in their first season back into the top flight, the club left the Baseball Ground, its home of 102 years, to move into the new 33,597-seat Pride Park Stadium for the 1997–98 season. The club settled well into its new home as it recorded back-to-back top 10 finishes for the first time since their 1970s peak, before a sudden decline at the turn of the millennium saw three years of struggle,before the Rams were relegated after a six-year stay in the top flight. in 2002. Former Ipswich Town boss George Burley was brought in as manager, but the club was put into receivership then sold in October 2003 for £3 to a group led by Jeremy Keith. After finishing 20th in the 2003–04 season, a dramatic improvement in the 2004–05 season saw Derby finish 4th in the Football League Championship, qualifying for a promotion play-off spot, though they lost in the semi-finals to Preston North End. Soon afterwards, Burley resigned citing differences between himself and the board. In April 2006 a consortium of local businessmen led by former vice-chairman Peter Gadsby bought the club, reducing its debt and returning Pride Park Stadium to the club's ownership in the process. In June 2006, former Preston North End boss Billy Davies was appointed Derby County's new permanent manager. 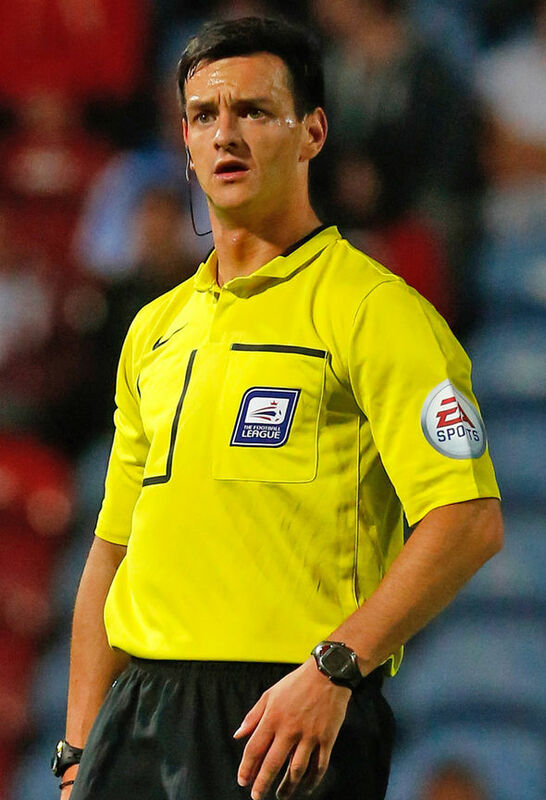 In his first season, Davies took Derby to the Premier League via the playoffs. After a poor start to the season, manager Billy Davies left by mutual consent in November. He was succeeded by Paul Jewell, who failed to save the club as Derby suffered the Premier League's earliest ever relegation, in March,and recorded the Premier League's lowest-ever points total. Derby's match at home to Sheffield United on 13 September 2008 generated much media coverage as it was approaching a year since Derby's last league win, a run which saw the club break the English league record for most matches without a win. Just four days short of the anniversary, Derby finally won earning Paul Jewell his first league win as Derby boss at his 27th attempt. Jewell resigned as manager in December 2008 after a run of just 2 wins in 11 matches. He was replaced by Nigel Clough, son of former manager Brian. He led the club to 18th place and safety. After two disappointing seasons that saw the club finish in the bottom half of the table, Derby finished the two subsequent seasons in 12th and 10th place. Clough was sacked 9 games into the 2013–14 season, and was replaced by former Derby player and assistant manager Steve McClaren. Under McClaren the club finished third in the Championship and reached the final of the play-offs, where they lost to Queens Park Rangers. In the 2014/15 season Derby could only manage an 8th place finish after a terrible slump post Christmas and McClaren was dismissed at the end of May to be replace by Paul Clement. Derby made the playoffs in the 15/16 season, but lost to the eventual winner of the playoff final in Hull Tigers. Gary Rowett became Derby manager in March 2017 and led them to the final playoff place last season, before accepting a new challenge at relegated Stoke City in May 2018. 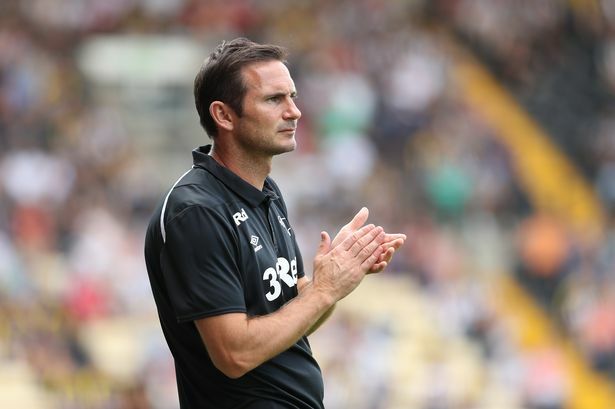 On 31 May 2018, Frank Lampard was appointed as manager on a three-year contract. Another game I can watch on the IFOLLOW, so that's good, regarding result oh dear its going to be difficult. I thought we held are own Sunday, if we could just cut out the individual errors that seem to result in goals every time and be more a attacking threat then you never know. Head says we lose, heart says we can get something from this. It's important, I think, that we build on Saturday's performance which, in spite of the result, was a positive one. I just cant see where the goals will come from. No one seems to know how to put the ball in the net. The law of averages says sooner or later someone will drop their bundle against us and we will pick up some points. Maybe this cappuccino is too strong but Ipswich Town 3 Derby County 1. The lads will play the type of offensive football they played at CR, and with the fans behind them at PR ———-> job done. If we play like we did on Sunday we could win. But I doubt if we can play with that intensity for 2 games running. 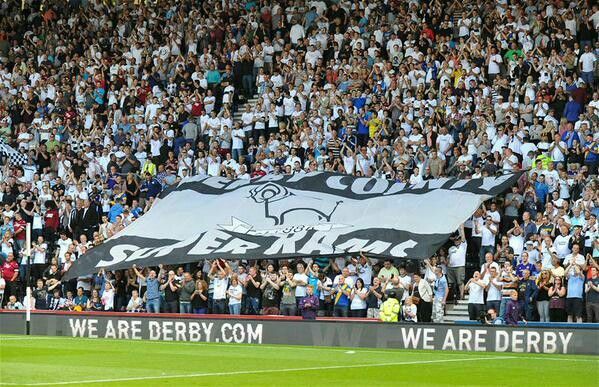 Derby have not been great on their travels last couple of games so a little hope there. 1-1 is best we can hope for. After Bolton’s win at Birmingham tonight and both Rotherham and Millwall taking a point each I think tomorrow night is sh*t or bust. A draw will be next to useless so intensity and two up front it will have to be and all out attack from start to finish please Mr Lambert. After Bolton’s win at Birmingham tonight and both Rotherham and Millwall taking a point each I think tomorrow night is sh*t or bust. A draw will be next to useless so two up front it will have to be and all out attack please Mr Lambert. Totally agree! With the goal difference disparity between ourselves and Rotherham we need to make up eleven points on them. Anything less than a win will probably be fatal to our chances of staying up. Voted for a drawn game. We got strikers that are ineffective and a defense that is often is disarray but Portman Road is a tricky journey for any traveling party in terms of location. It's on the field what matters (however) and they need a victory to remain in contention for a play-off opportunity. We ourselves seem f*cked, very doubtful we can turn it around now. Best guess points for both but not expecting anything fancy, with Sears out who the hell's going to score for the team unless of course we registered something through one of their own players. Portman Road is a tricky journey for any traveling party in terms of location. Why? Roadworks? Four way temporary traffic lights? They’re always a bit of a bstd. I think it's more the Horse sh*te and Tractors. Let's hope you see a win mate, although you are probably more likely to get bought a drink by Lord Lucan. As long as everyone is positive and “Lucan” for the win, thats all that matters! After last nights results, nothing to lose, pressure off, relax and get into the game. Bring that gap back to 7 points. Waghorn hatrick, we still haven't replaced him. Noticed that young Nydams loan contract ended with St Johnstone recently. Is he available for selection to the bench for tonight? I didn't know that Marko but doubt he'll get in the squad right now. Stop mentioning the Toffees. We’ll get an Everton novella at 2am. I could be a lucky charm tonight. The games i have beem to so far this season we have got points from. Not seen us lose yet. No Chambers Jonas at centre back with Penn. Trev Bish and Downeds looks good to me and two up front. I like this line up a lot.